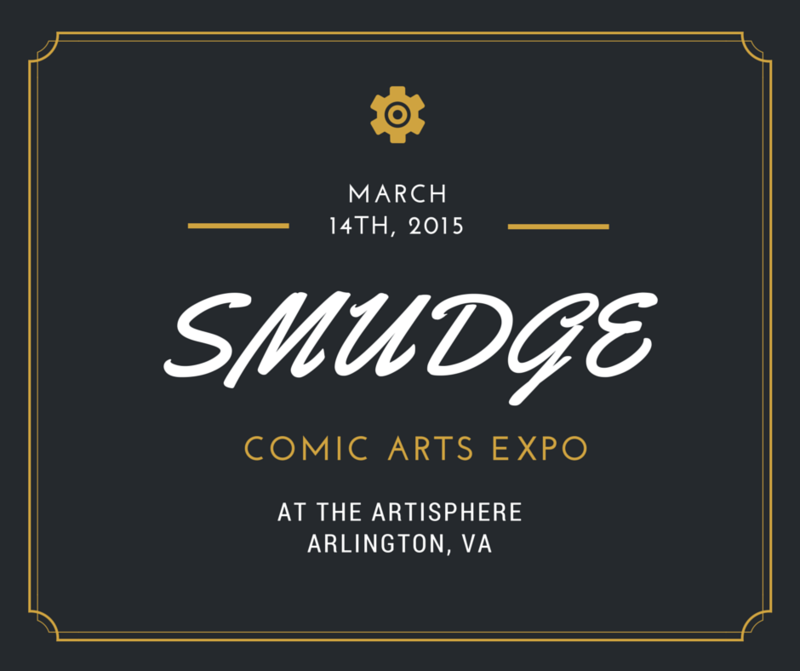 FREE Event: SMUDGE Sets Sights on Washington, D.C.
Today, March 14th from noon-6PM, the second annual SMUDGE Comic Arts Expo comes to the Washington, DC area. Publishers of indie comic books, along with small-time newspaper cartoonists, come to the Artisphere Arts Center to hone their crafts more finely and find a bigger audience. The event is organized by Matt Dembicki and Tina Henry. SMUDGE features artists exhibiting their work, many different presentations, and lots of hands-on workshops presented by a wide array of cartoonists new to the scene, experts on the featured topics, and storytellers as well. I was able to speak with one of the artists attending SMUDGE, Michael Auger. In order to get to know him better, I asked him a few questions regarding the expo and what he did. What he had to say was both informative and insightful. BR: Michael, what are your feelings toward SMUDGE? MA: I’ve been drawing ever since I could hold a crayon and, coincidentally, the earliest comic characters that I created as a child I called “the smudges” so I have an extra special appreciation for this wonderfully named event. BR: What sort of art do you do? MA: The majority of the artwork I create these days is offbeat paintings, many of which are blacklight-reactive! I also dabble in sequential art and I am in an active member of a local comic creators’ collaboration called The DC Conspiracy. Many of the members of The DC Conspiracy will be at SMUDGE this Saturday and it’s a great chance to see (and buy) their latest creations. BR: What advice do you have for up and coming artists in the comic book field, indie publishers, and cartoonists? MA: My advice for any aspiring artists, cartoonists, and indie publishers is to not miss this event! And, be sure to stop by my table and say hello. You can find out more about Michael Auger and what he does by visiting his site. Find the event’s programming here. You can catch Michael and more artists,at the SMUDGE Expo Saturday, March 14th, from noon to 6 p,m. It is an all ages event, with free admission and free validated parking in the Artisphere garage. The Artisphere is located at 1101 Wilson Boulevard in Arlington, Virginia.